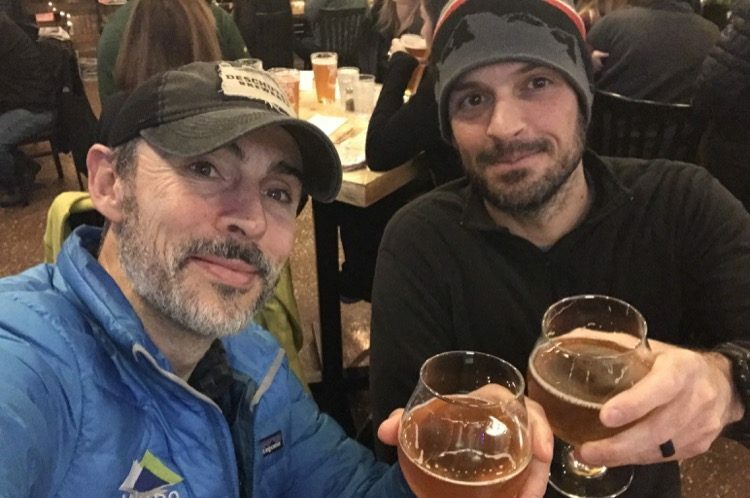 Ryan Kaiser and author Drew Dinan enjoying a beer in Bend, Oregon. 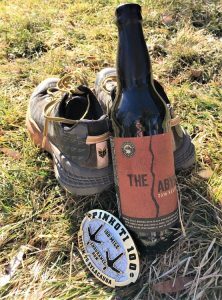 The Ultrarunner’s Beer & Run Pairing Guide aims to provide runners with the perfect beers to enjoy after a run. Countless years of “research” went into creating this guide. Please note that all pairing suggestions are based solely on the taste buds of the author and only include beers that are relatively easy-to-find in regional craft beer stores and that the author has personally sampled. This list includes only American breweries and recommends beers from across the country. Furthermore, while the author seldom turns down a “Silver Bullet” or PBR after a run, mass-produced domestic beers were omitted from this guide. Sorry Speedgoat Karl, you won’t be finding Natty Light on this list. Please drink (and run) responsibly, and don’t forget to chime in and tell us what your favorite post-run beer is. Why this pairing? A recovery run is typically done the day after a hard effort or race. So if you celebrated your race with something a little higher in ABV (see below), now would be a good time for a light and refreshing beer. All Day IPA is the pick here, and those 19.2oz cans are just the right size. Why this pairing? After a lung-busting interval workout you deserve something easy. While a pilsner or session is also a good choice here, I like a good aromatic wheat beer. Why this pairing? A solid tempo effort deserves a solid reward. There are many great pale ales on the market but it’s hard to go wrong with anything from 3 Floyds. Red Chair is also one of my go-to beers when it’s in season. Why this pairing? An IPA always seems to hit the spot after a long day on the trails. Having grown up in the Midwest I have a soft spot for Bell’s Two Hearted, one of the craft OGs. It’s the first IPA I ever tasted and still one of my favorites. Why this pairing? With roasted malt, caramel-like and chocolate-like characters, the American Brown Ale is the perfect complement to all of those gels you just devoured. Ok, maybe not, but a delicious brown seems to be just right after a hard 50k effort. Why this pairing? A good porter is satisfying—just like completing a 50-mile race. Victory at Sea is a tasty (and strong) beer to sip after you’ve rehydrated, whether or not you had victory on the trails. Why this pairing? The 100k distance is just long enough for you to question your sanity. You need a strong beer after the race to forget about the pain and suffering and sign up for your next ultra. All of these beers will do the trick. Why this pairing? Let’s be honest, ANY beer will do after finishing a 100-miler. There’s also a good chance you may have had a few during your race already, but completing 100 miles deserves the ultimate beer reward, and there’s nothing better than a big, bold stout to go with your shiny buckle. A few in-state beer recommendations for the finish line! Wow! A great list and some very interesting pairings. I would suggest The Calling Imperial IPA from Boulevard Brewing of Kansas City as a big beer for a big effort. Lagunitas Maximus falls in the same category. Since I live in Florida, I also reach for a Cigar City Jai Alai. Whether I have run or not. I love a nice sour beer after a long, hot run. A dry-hopped sour fits the bill in the evening after a workout. You guys really do know what you’re writing about. Even as an Oregon guy, I’d like to compliment you on your choice of (Michigan’s) Founders All Day IPA as #1 for recovery. I think you hit a bulls-eye. Yes, the can size doesn’t hurt either. Another beer, also top-notch and similar in quality to it is NInkasi’s Pacific Rain (a NW pale, not an IPA though). This is fantastic! Thanks for sharing it.